In 1979, Russian forces invaded Afghanistan. Communism came to the threshold of Pakistan when forces led by Babrak Karmel overthrew the Government of Afghanistan. 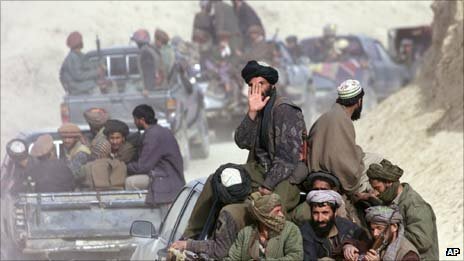 Some 120,000 Russian troops entered Afghanistan .The Afghan people organized a resistance force against this blatant aggression. The Soviet forces suffered greatly in terms of manpower and material, and the Afghan War proved expensive even for a world power like the Soviet Union. It has always been said about Afghanistan that it can be invaded and occupied easily but it is very difficult to hold and control it. Afghans have a history of resisting foreign invaders. The British imperial power failed in all three attempts to occupy and control Afghanistan. The Soviets were to learn the same lesson. In the beginning, the Soviet army was successful in occupying and controlling Afghanistan. General Zia stood against the spread of communism. He reiterated his solution to the Afghanistan crisis in 1983 in New Delhi. He said that Pakistan has given political asylum to millions of Afghans. He demanded the expulsion of Russian forces from Afghanistan. America responded to the call of Pakistan and flooded Pakistan with monetary help to finance the anti-communist regime in Afghanistan and to equip the freedom fighters. The freedom fighters, the mujahideen, put forward a strong resistance to the Russian invasion. Although the Afghans suffered enormous causalities in the beginning of the war but the turning point in the war came when the U. S. supplied them with surface-to-air Stinger missiles. danger. As Pakistan was a frontline state, huge amounts of money, military equipment and aid arrived in Pakistan. The huge amounts of aid that poured in propped up Zia’s government. With the Afghan problem, a new phase of modernization of the military began. The arms provided to Afghanistan freedom fighters were also provided to the Pakistan Army. As a result the Pakistan Army became better equipped. Other than the problems faced due to the Afghan War efforts, the Soviet Empire was breaking apart at the seams. This led the Soviets to seek peace in Afghanistan. Negotiations on Afghanistan were carried out under Zia’s Government, and the Geneva Accord was signed on April 14, 1988, under which the Soviet Union agreed to withdraw its forces in two installments .The Soviet Government lived up to its commitment of withdrawal of forces according to the agreed timetable. The victory in Afghanistan was achieved at a great cost to Pakistan. It had to look after and feed more than three million Afghan refugees that had crossed over to Pakistan. The refugees were a great economic burden on Pakistan. Not only this but, they also caused the problem of drugs and gunrunning in the country. Long after the Soviet forces had left Afghanistan, fighting continued between the various factions of the mujahideen. With the emergence of the Taliban, Pakistan found itself an ally in Afghanistan that enforced peace and virtually eliminated the drug cultivation. After the September 11 tragedy of 2001, world attention again focused on Afghanistan as they considered it as training grounds of terrorists responsible for the tragedy. The Talibans were removed by power and a U. S. led coalition installed an interim government in Afghanistan, which till today keeps a fragile peace in the country. Meanwhile Pakistan continues to suffer numerous problems from the legacy of the Afghan War such as refugees, drugs, guns, crime, and terrorism. This article was last updated on Sunday, June 01, 2003. Pakistan hosts almost 18 million registered Afghan refugees – still the largest protracted refugee population globally. Since 2002, UNHCR has facilitated the return of 3.8 million registered Afghans from Pakistan. Efforts to address the needs of Afghan refugees and their host communities, and to advance durable solutions, are undertaken within the framework of the regional Solutions Strategy for Afghan Refugees (SSAR), the tripartite agreement on voluntary repatriation, and the Government of Pakistan’s national policy on Afghan refugees. To complement UNHCR and partners’ international support, the Government of Pakistan has extended Afghan refugees’ Proof of Registration (PoR) cards until the end of 2015, issued birth certificates for 800,000 Afghan refugee children, provided land for several refugee villages, and given refugees access to public schools and health clinics. In August 2014, there were 714,548 registered internally displaced people (IDPs) in need of humanitarian assistance due to the ongoing security operations in the Federally Administered Tribal Areas (FATA) and Khyber Pakhtunkhwa. The North Waziristan emergency has further displaced approximately 500,000 people. The operating environment for humanitarian actors in Pakistan remains volatile, with fragile security, as well as access, social and economic challenges likely to affect humanitarian operations. In order to improve outreach to populations of concern and to build local capacity, UNHCR works closely with local partners and government counterparts. 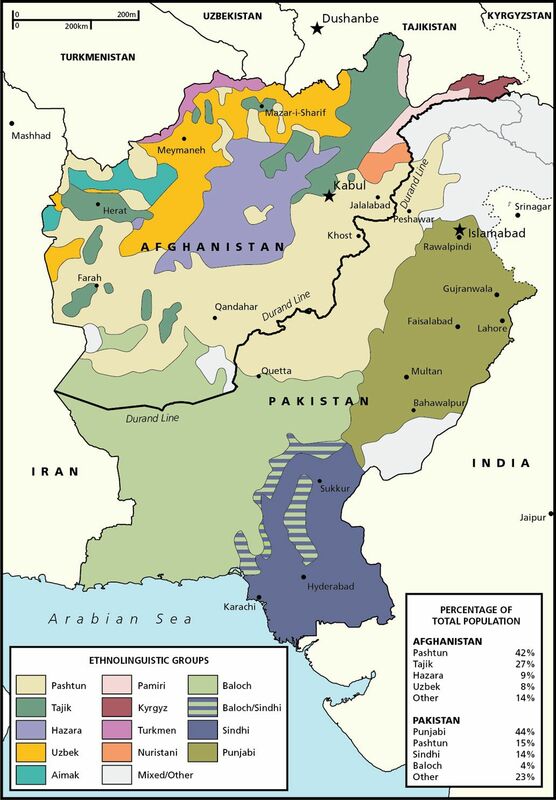 The main groups of people of concern planned for in 2015 under the Pakistan operation include: Afghan refugees, of whom approximately one-third live in refugee villages, and two-thirds in urban and rural host communities; some 7,000 asylum-seekers and individually-recognized refugees from various countries (mostly Afghans), living mainly in urban areas; IDPs, including those relocated by military operations and ethnic/religious conflicts in FATA, and, since the beginning of military operations in June 2014, IDPs from North Waziristan; and three groups presumed to be stateless or at risk of statelessness in Pakistan, namely Bengalis and Biharis, as well as Rohingyas from Myanmar.